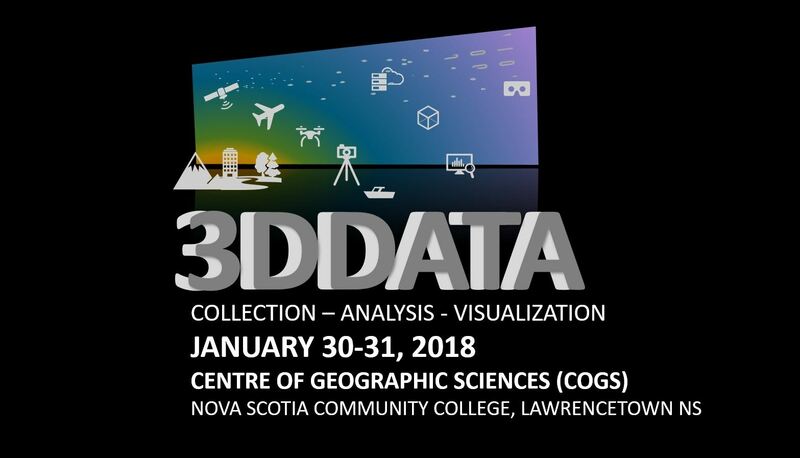 The Geomatics Association of Nova Scotia (GANS) and the Canadian Institute of Geomatics (CIG) Nova Scotia Chapter would like to invite you to a workshop at the Centre of Geographic Sciences (COGS). This workshop will focus on the exciting and emerging field of 3D technology and aims to bring together experts from the geospatial community in remote sensing, cartography, surveying, artificial intelligence, engineering, and other geographic related disciplines. This year the workshop will focus on the exciting and emerging field of 3-D technology. We are looking for presenters and exhibitors to discuss 3-D data collection (indoor and exterior), as well as new methods to process and analyze 3-D data and perhaps the most exciting is the new methods to visualize and use 3-D data, for example using augmented reality and virtual reality. Please mark your calendars and plan to come to Lawrencetown Jan 30-31, 2018. We are expecting local, regional, national and international speakers at the event and encourage you to please contact us about presenting, exhibiting & attending.